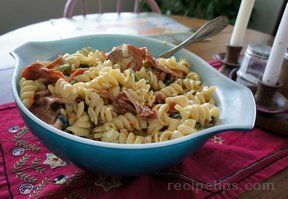 This salad has all the ingredients Italians love, green peppers, tomatoes, olives and, of course, pepperoni. Served with a crusty bread, this salad can turn into a delicious lunch. 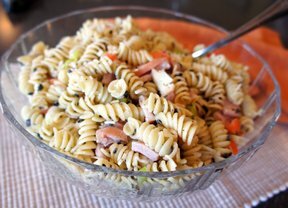 Mix all ingredients together and let stand in refrigerator overnight. 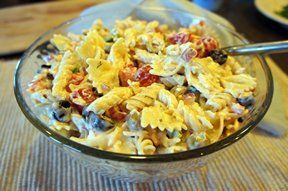 "My kids love this salad with garlic bread for a quick supper. 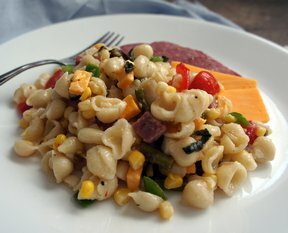 The salami and pepperoni add zip to the veggies and pasta."